Dental implants replace tooth roots in the mouth. 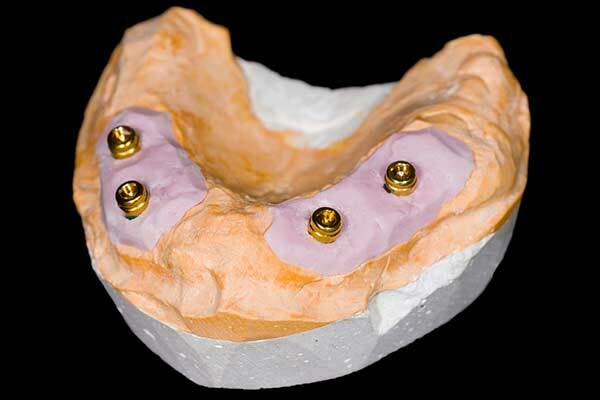 Implants provide a strong foundation for fixed or removable replacement teeth. 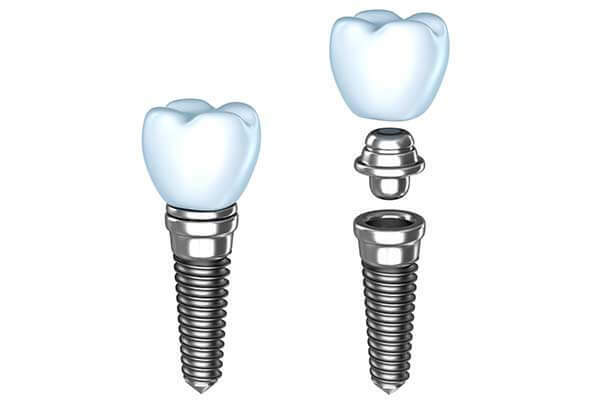 Dental implants are small anchors made of a biocompatible metal called titanium and are placed in the jawbone. The anchors begin to fuse with the bone over the course of a few months in a process called osseointegration. After the fusing process, abutment posts are inserted into the anchors. A crown can then be attached to the abutment post. Implant supported dentures are an improvement over traditional dentures, in that chewing, speaking, and smiling all feel more natural. For the upper arch in particular, an implant supported full arch means there is no plate covering the roof of the mouth, so speaking and eating are more natural and comfortable than with a traditional denture.